Univserity Avenue. Picture by James Halliday. 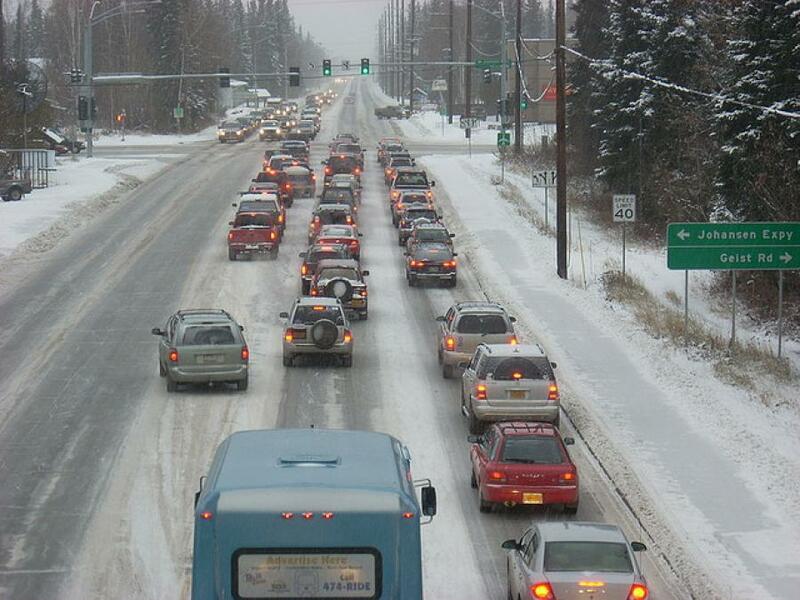 State transportation officials say construction on a $20 million road project in Fairbanks could begin as soon as this summer thanks to federal funding. The University Avenue project was one of several state road projects Gov. Bill Walker nixed funding for last year as a cost-saving measure, The Fairbanks Daily News-Miner reported (http://bit.ly/2kRuK82) Tuesday. But the Alaska Department of Transportation announced last week the project is moving forward with help from federal funds. "University Avenue is one of our most highly traveled roads and the crash data shows (auto collisions) are higher than normal," said department spokeswoman Meadow Bailey. "So from a safety standpoint, it's something we're excited to move forward with." The work will include the construction of a raised center median, a new Chena River Bridge and the widening of side streets and sidewalks. Bailey said the Johansen Expressway-Geist Road and University Avenue intersection will be widened this summer because DOT owns the right of way for the section of the project. The project's summer start will depend on whether it meets the requirements the National Environmental Protection Act. The project is expected to be complete in 2019. According to the department, 90 percent of the project's funding will come from the Federal Highway Administration and the state will cover the rest.